Most people whom I have come across in gyms want to only build muscles. But, after certain period of time the body stops giving results. In short, there is absolutely no improvement or change in the muscles and the body is just the same. In fact most end up losing muscle mass and seeing these results one gets de-motivated and stops going to the gym. Scientific workout routine is very essential for muscle building. It should be a good combination of primary muscle group as well as secondary muscle group. Here, I would like to give the example of shoulder workout followed by the triceps workout. Every compound movement for the shoulder exercise, the triceps are working. So apply this formula to other muscle groups as well such as the back and biceps, chest and triceps. Always start exercise with compound movement and end with isolation movement: In compound movement more than 1 joint are involved where as in isolation movement only a single joint is involved. We can start with the chest exercise with press movement and end with fly movement. In press movement, the muscles of the chest, shoulders and triceps are involved. The fly is the isolation movement here we target only the chest muscles. Cardiovascular exercise is very essential for muscle building. It helps to recover the muscle tissues. It helps to provide maximum oxygenated blood during the exercise. Instead of neglecting the cardio go for the no impact cardio exercise like elliptical or cycling. Good static stretches after workout will ensures the recovery of your muscles in the shortest possible time. 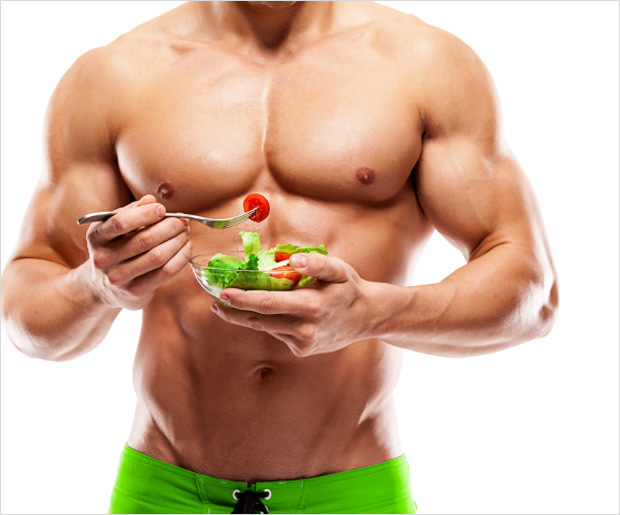 Balanced nutrition is very essential for muscle building. It’s applicable to one and all and not only to those who want to build the muscle. Try to consume healthy meals in regular intervals of 2 to 3 hours. Nutrition involves regular intake of breakfast, lunch, snacks, dinner, Pre workout meals and post workout meals and other meals. Good rest and recovery ensures you good fat loss and muscle building .Muscles are growing during the rest and recovery .Whichever muscle and tissues utilised in a day get repaired during sleep and rest . All the above guidelines will help you the maximum muscle growth. Very informative! The rest ensures you good fat loss and muscle building . Muscles are growing during the rest so try to sleep well.